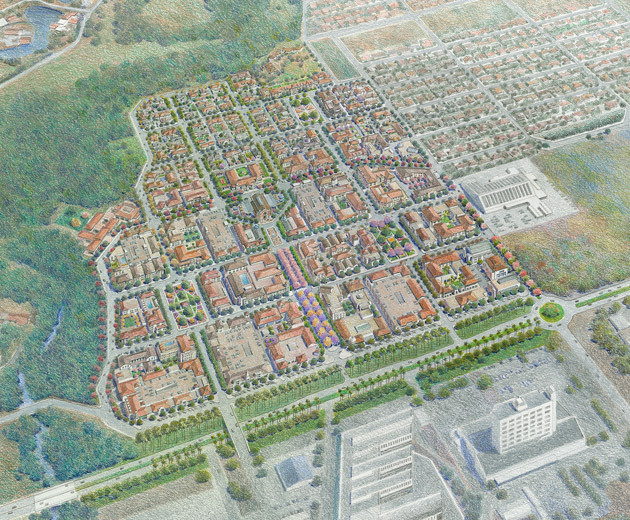 Moule & Polyzoides has been working for some time with the Anguizola family of David, Panama in developing some of their extensive land holdings into distinguished new neighborhoods and districts for both commercial development and for improving the overall character of the city. 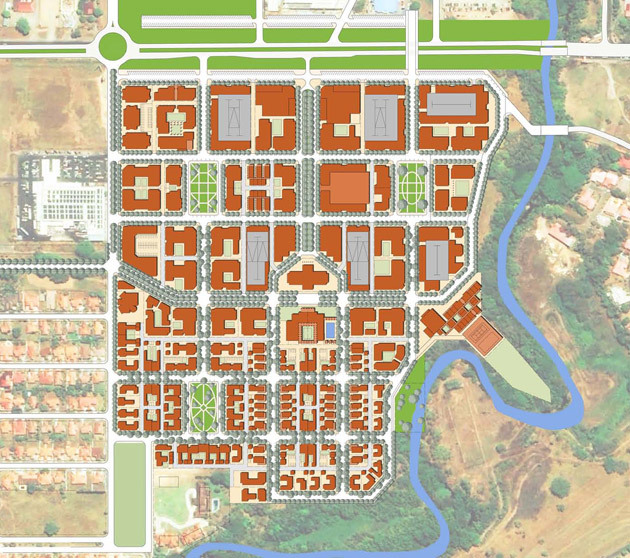 David, like the rest of Panama and most of Central America, has been developed in a haphazard sprawl pattern and, as a result, the city presents the image of an overgrown village rather than a significant urban center of 300,000 people. 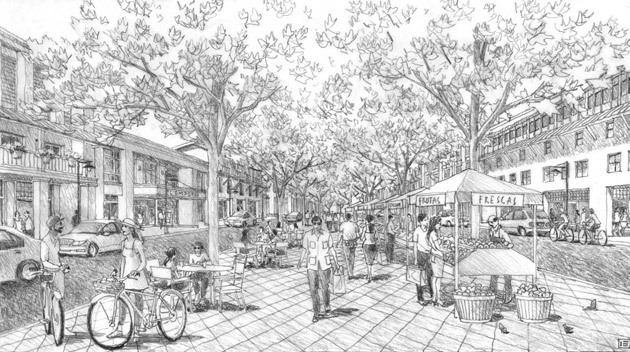 This 100-acre district is organized around four programmatic elements: a main street, a medical quarter, an educational quarter and a residential quarter. The plan is modelled on the grid of Savannah, Georgia, with the four plan quadrants centered around large-scale squares. Streets and parks are planted in a colorful, lush tropical landscape. A park-once system absorbs the parking requirements of all commercial projects and produces a rich, walkable environment. Buildings are arranged on a perimeter block system and designed to generate a balanced building fabric and public realm. The first phase of the project is underway. 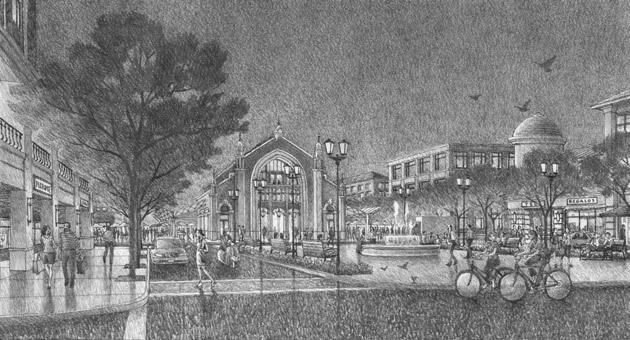 La Fontana Town Center will be the first ever downtown core for the town of David.